Just north of Pallet Town is Route 1, which is a small path that leads directly to Viridian City. A few species of Wild Pokemon can be found here, as well as the first trainer that would like to battle you. 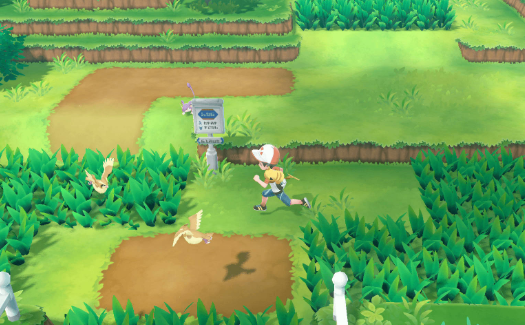 When you have the ability to fly on a Pokemon later in the game, you will also be able to find Wild Pokemon soaring in the skies above Route 1. After capturing the Legendary Pokemon Articuno, Zapdos, and Moltres, they too have the ability to be found as a Wild Pokemon in the skies above this route.